Compared with coronary CTA, stress echocardiography resulted in shorter lengths of stay for patients who presented to the ED with acute chest pain. HealthDay News — For patients presenting to the emergency department with chest pain, a smaller proportion are hospitalized after undergoing stress echocardiography (SE) versus coronary computed tomography angiography (CCTA), according to a study published online June 13 in JACC: Cardiovascular Imaging. Jeffrey M. Levsky, M.D., Ph.D., from Albert Einstein College of Medicine in Bronx, N.Y., and colleagues randomized low-to-intermediate-risk emergency department acute chest pain patients without known coronary artery disease and a negative initial serum troponin level to immediate CCTA (201 patients) or SE (199 patients). 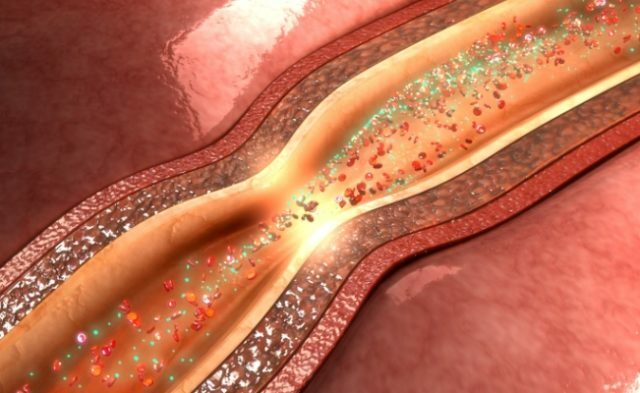 The researchers found that 19 and 11 percent of CCTA and SE patients, respectively, were hospitalized at presentation (P = 0.026). For discharged patients, the median emergency department length of stay was 5.4 and 4.7 hours for CCTA and SE, respectively (P < 0.001). The median hospital length of stay was 58 and 34 hours for CCTA and SE, respectively (P = 0.002). Over a median follow-up of 24 months there were 11 and seven major adverse cardiovascular events for CCTA and SE, respectively (P = 0.47). The median/mean complete initial work-up radiation exposure was 6.5/7.7 and 0/0.96 milliSieverts, respectively, for CCTA and SE (P < 0.001). “SE hospitalized a smaller proportion of patients with a shorter length of stay than CCTA and was safe. SE should be considered an appropriate option for emergency department chest pain triage,” the authors write. One author disclosed financial ties to Kryon.